The Department of Trade and Industry through the Center for International Trade Expositions and Missions (CITEM) is preparing for the 10th e-Services Global Sourcing Conference and Exhibition as part of its trade promotion program for the ICT/BPO sector in a bid to further strengthen the country's foothold as outsourcing destination of choice in the Asia Pacific. Local and international campaign for the event follows the recent win of the Philippines as the “Best Offshoring Destination of the Year” in the recently concluded 6th annual National Outsourcing Association (NOA) Awards in the United Kingdom, edging out shortlisted contenders Egypt, Russia, Malaysia, and Sri Lanka in the event held at the Park Plaza Riverbank Hotel in Central London. It first received the same distinction in 2007. Held annually, the e-Services Global Sourcing Conference and Exhibition is a 2-day international trade show and conference acting as platform for IT and ITES (IT-enabled services) providers from around the globe to network under one venue. For 2010, the show targets over 200 exhibitors and more than 2,000 trade buyers. In the past, e-Services became the meeting point for experts and C-level executives from global brands (Accenture, Wipro, Google, among others) who are looking to expand in the Philippines. A testament to the country’s resilience in the face of recession, the Philippine ICT/BPO industry, powered by staunch government support, has continued to grow via the introduction of new services offered to the global market. Traditionally the foremost offshore destination for voice-based services, the sector has expanded to include higher value services such as finance, accounting, architectural and engineering services, software development, animation, game development, and medical and legal transcription, among others. According to a research done by government-run UK Trade & Investment, the Philippines has jumped 14 spots to land at the 9th spot among key emerging markets for global investors in 2009. 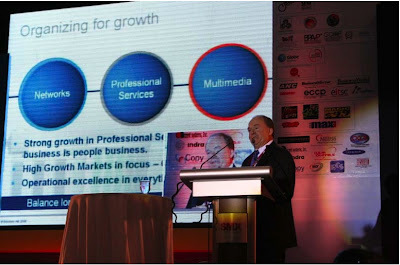 Set on 8-9 February 2010 at the SMX Convention Center in Pasay City, Philippines, e-Services 2010 is geared towards carving a bigger niche for the country in the global offshoring business given the unique possibilities presented by the recession and by such milestones as the NOA award. Partner associations include the Board of Investments (BOI), the Foreign Trade Service Corps (FTSC), the Bureau of Export Trade Promotions (BETP), the Regional Operations and Development Group, and the Commission on Information and Communications Technology (CICT). e-Services is also supported by the Business Processing Association of the Philippines (BPAP), Animation Council of the Philippines, Contact Center Association of the Philippines, Medical Transcription Industry Association of the Philippines, and Games Development Association of the Philippines. 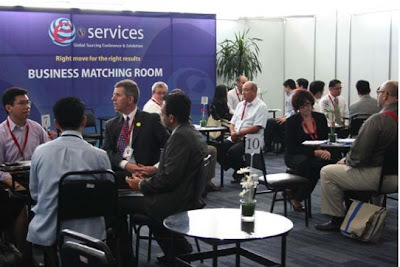 For more information on e-Services 2010, log on to www.e-servicesphils.com or contact the Center for International Trade Expositions and Missions (CITEM) e-Services Project Management Team at tel. nos. (632) 832-5044 / 831-2201 locals 212/ 251/ 278/ 301, or e-mail itservices@citem.com.ph. You can also download this document here.